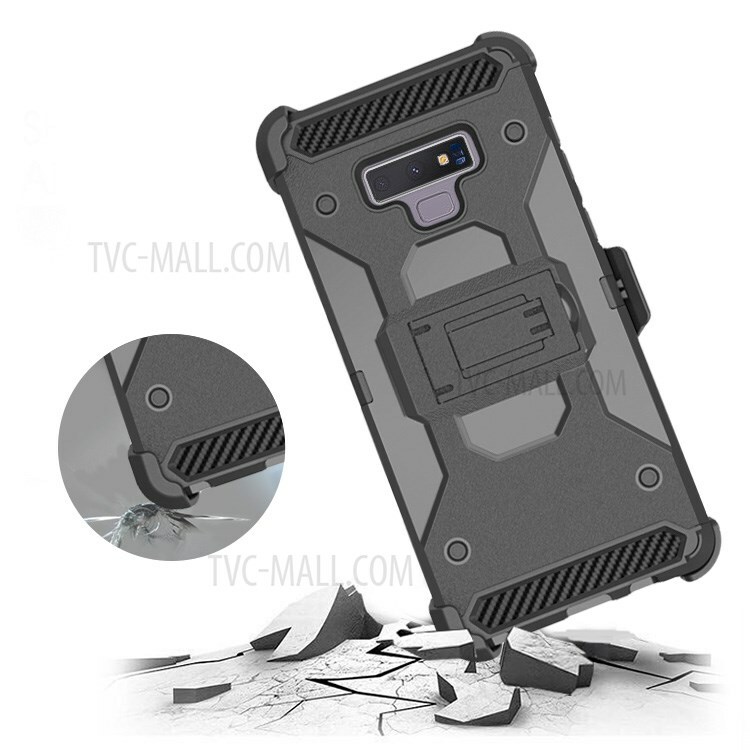 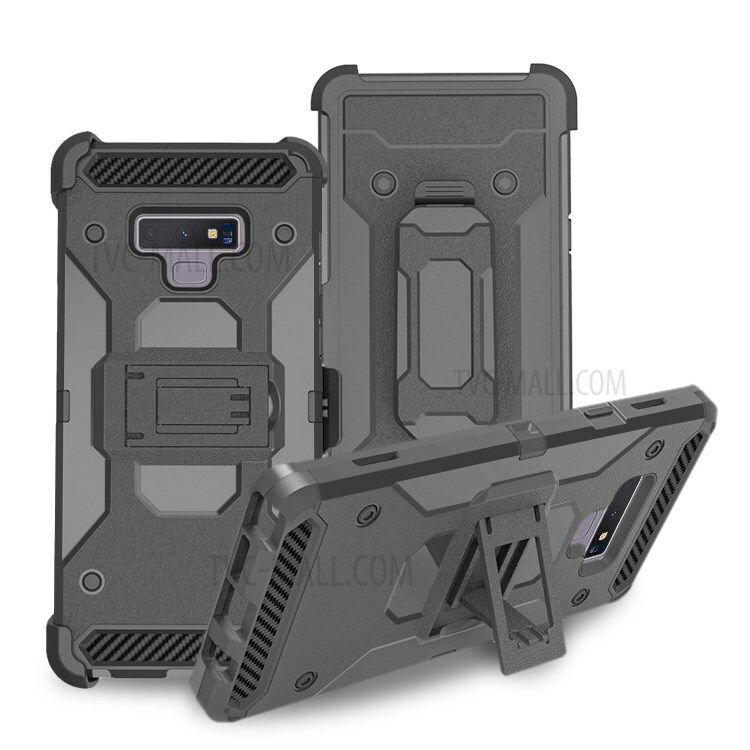 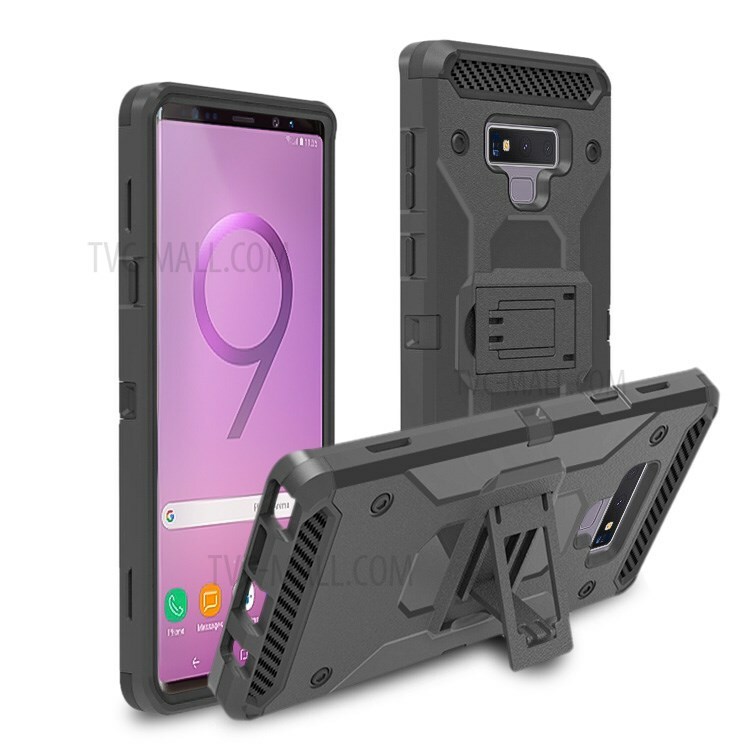 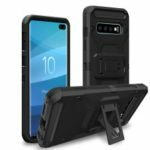 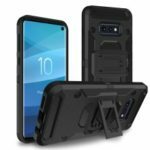 For just $ 2.70 , buy Carbon Fiber Texture Belt Clip Kickstand PC TPU Hybrid Shell Holster Cover Case for Samsung Galaxy Note9 N960 from the wholesale webshop online. 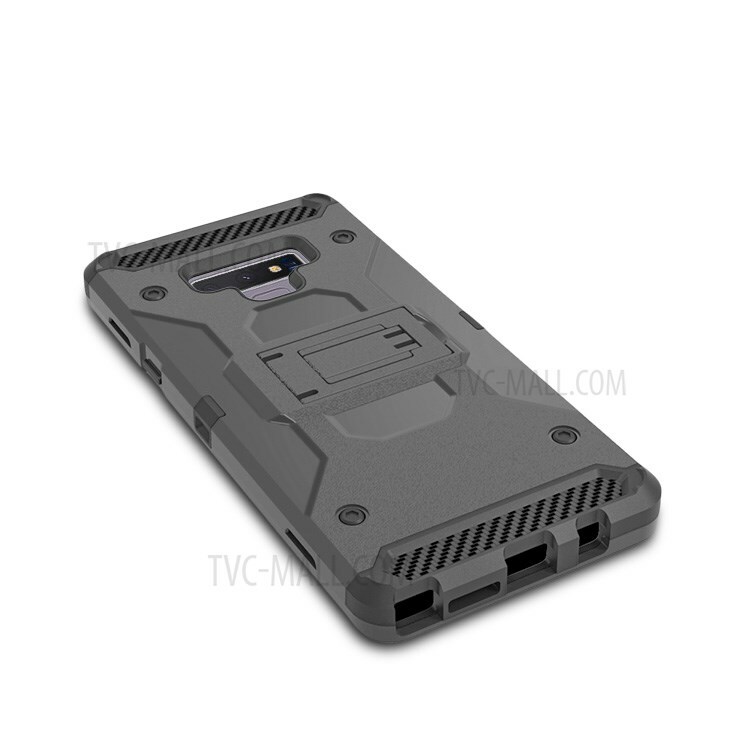 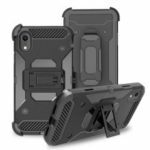 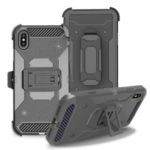 This protector case contains a belt clip holster and a PC + TPU hybrid case. 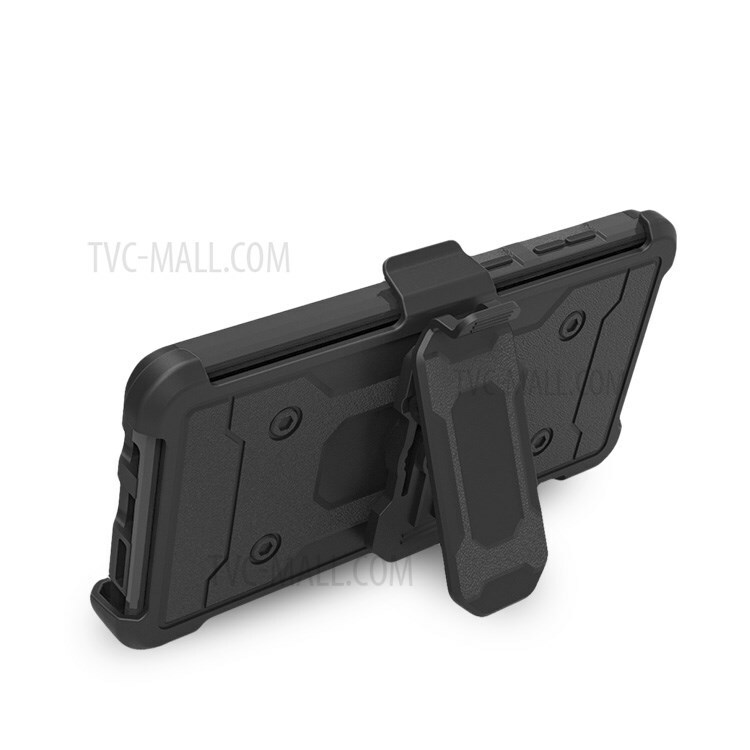 The holster features swivel clip, which allows your phone to be clipped on waistband or belt. 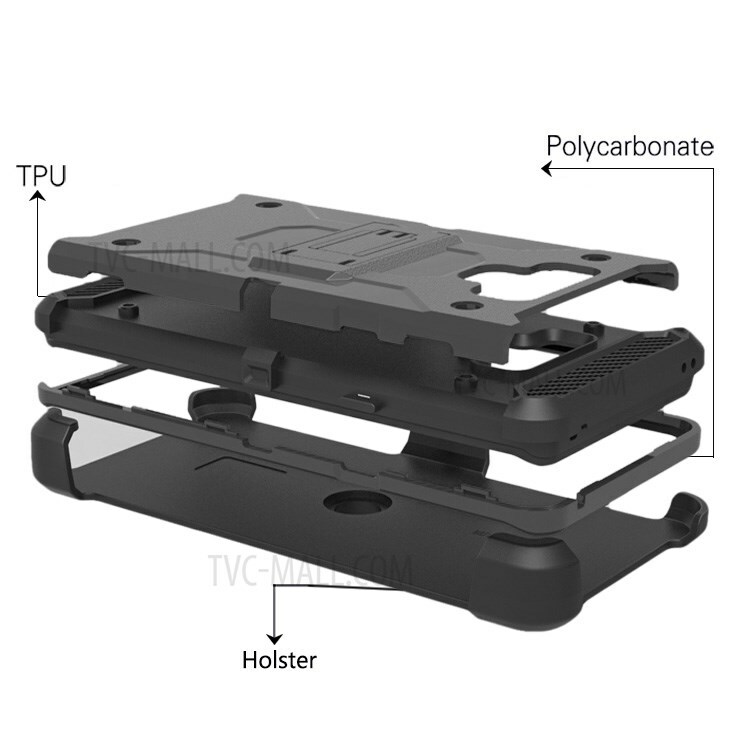 The clip can be angled into an adjustable supporting stand for hands-free media entertainment. There is also a kickstand on the back of hybrid case for convenient viewing. 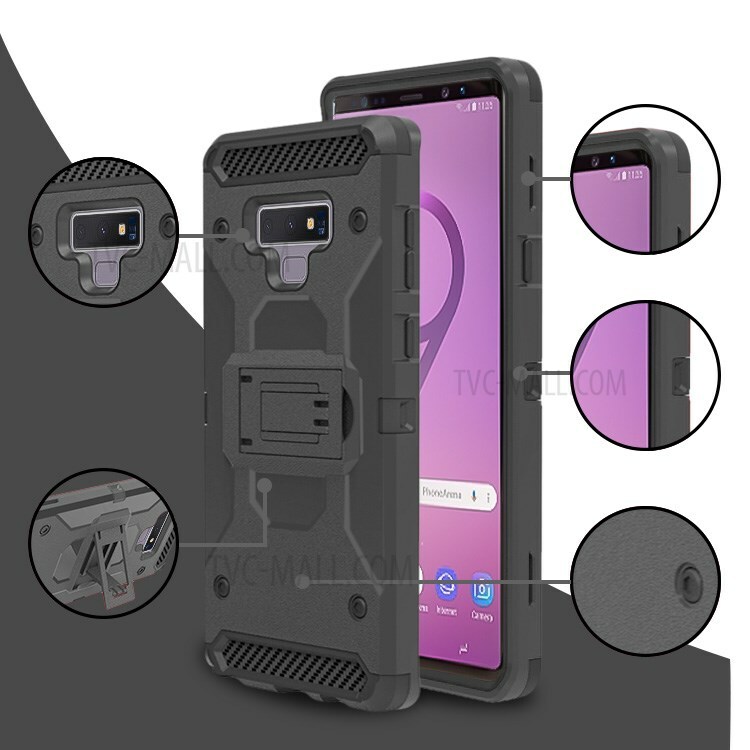 It is ideal for people who is at work and needs to keep his phone close by.